When it comes to scaffolding rentals, the importance of safety training cannot be overstated. Taking the proper precautions and understanding how to keep yourself safe on a scaffold are imperative if you are going to rent a scaffold. 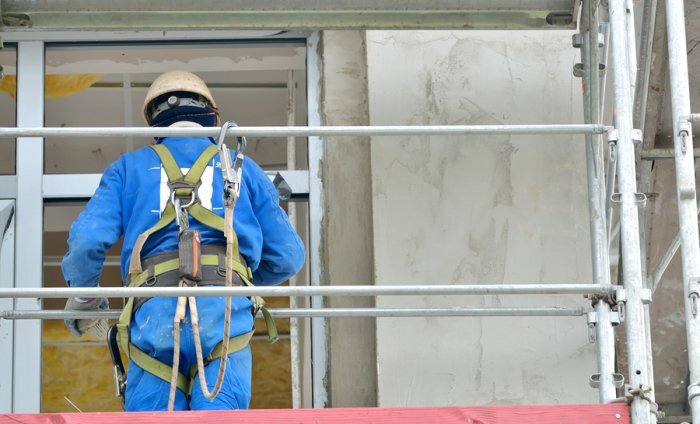 Read on for a quick look at the many benefits of scaffold safety training. Safety is not something you should ever leave up to chance, especially if you are completing a potentially dangerous task. This is why it is crucial that you go through scaffold safety training before working on an elevated platform. Safety training will allow you to recognize and avoid hazards in order to stay safe on the job. It will also help you learn how to prepare before working on a scaffold, which may improve your efficiency on the job. A qualified and experienced individual should inspect your platform before each use in order to maximize safety. For more information about the benefits of scaffold safety training for yourself or your employees, call Scaffold Resource at (301) 924-7223. We are proud to offer scaffolding and shoring in Washington, D.C. Please feel free to stop in and see us or visit our website if you would like more information about our work platforms and scaffolding rental services. 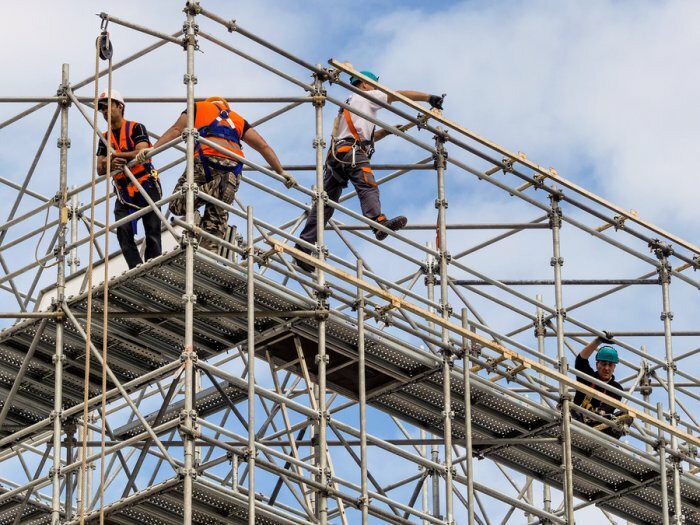 A scaffolding rental can be helpful for painters, cleaners, and construction workers, but it can be equally as dangerous if it is used improperly. This is why it is important to practice the proper safety precautions and observe local ordinances. Here is a brief overview of what you need to know about moving scaffolding. Scaffolding may take you to great heights and allow you to complete large-scale projects with ease. Misusing scaffolding, on the other hand, can lead to significant injuries and even death. It is important that you and your coworkers understand the proper way to use your scaffolding to avoid potentially tragic accidents. Scaffolding that is not expressly designed to move horizontally should not be moved while workers are elevated. Outline a plan for moving your scaffolding at the beginning of the project so that you can design your moves in advance. It is crucial to inspect your scaffolding before each use and remove all tools from the platform before moving it to a new position. 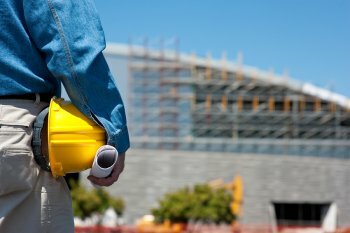 In addition to keeping your workers safe, you will also want them to work efficiently. You can facilitate this by discussing strategies with your local scaffolding rental service. 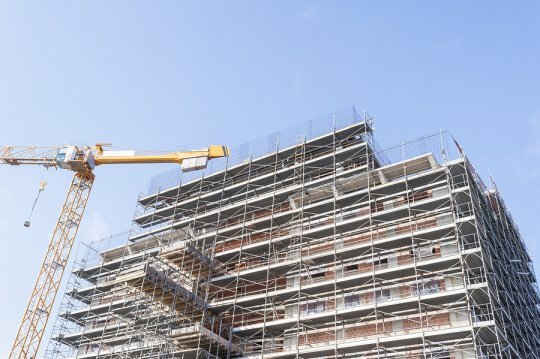 In some cases, it may be helpful to rent more than one scaffold; if you are working on a particularly large building or structure, you may want to use multiple scaffolds. Your scaffold rental professional can help you use these platforms safely. For legal and safety reasons, it is important to familiarize yourself with your local laws regarding scaffolding. These laws are designed to protect workers as well as pedestrians who might be affected by your scaffolding. Make sure you fully understand these laws and ordinances before you begin moving scaffolding. If you are interested in renting a scaffold in Washington, D.C., please call Scaffold Resource at (301) 924-7223. Our scaffolding rental service offers quality shoring and sidewalk canopies. You can find out more about our scaffolding rental services by stopping in to meet with us or visiting our website today. When it comes to embarking on a large-scale construction project that spans especially great heights, your scaffolding in Washington, D.C. may be the most important component of the job. Fortunately, Scaffold Resource can provide you with everything you need to complete the project. Here is a look at the engineering services from Scaffold Resource. Come to Scaffold Resource with your project outline and design. We will start by helping you fine-tune your plan of action and provide field analysis expertise. We will then design a scaffold to fit your specific needs and keep you safe and secure while on the job. After the scaffolding has been erected, you are free to complete the task at hand in comfort; we will ultimately follow up once the scaffolding has served its purpose and the job has been finished. For more information about the engineering services available from Scaffold Resource, please do not hesitate to give us a call at (301) 924-7223. Our scaffolding and shoring company is proud to serve the Washington, D.C. area with work platform rentals. Feel free to visit our website or stop by and meet with us to learn more about our services today.